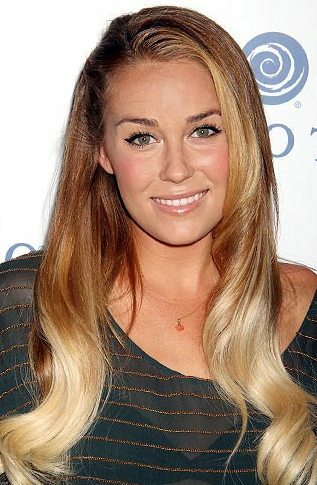 The newest hairstyle trend that seems to be taking over is ombre. What is ombre, you ask? It’s a two-toned hair color that gradually fades as you move from roots to tips. When done in a subtle way, it can be flattering. However, it seems that more often than not, it’s just a bad idea. Still not sure what ombre is? I’ll show you. 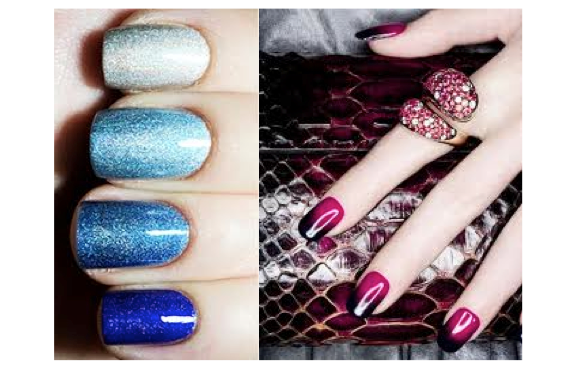 A better take on the ombre trend (in my opinion) is ombre nails! Same rules apply – gradual change in color. There are two ways to rock this look. Option one, paint each nail a progressively different shade from the same color palate. Or option two, create an ombre effect on each individual nail so that the color becomes darker or lighter as it moves towards the tips of each finger. What do you think of this look? I’d go ombre nails over ombre hair any day. First came the red lips… now RED PANTS! Colored pants are everywhere! Mint, sky blue, violet, yellow, burnt orange, coral – all of these colors are not only acceptable bottoms but stylish ones as well! They’re best when paired with a neutral top and neutral shoes. But if you’d like to add a little more flair then complimentary colored tops will work. If ever you don’t know what to pair them with – accessorize! An armful of bangles, long chain necklaces or a fedora would do. Oh and colored shorts are wicked too.